October has traditionally been one of the strongest months of the year for new albums. It’s like music’s Oscar season. This year is no exception, with some releases you’ll be seeing on the best of 2017 list. Here are our selections for the best metal albums released in October of 2017. When it comes to combining extremity with creativity, few do it better than Enslaved. They keep getting more progressive, but still incorporate those heavy elements. After having a stable lineup for the past dozen years, things have changed on their latest album E.
Hakon Vinje has taken over for Herbrand Larsen on keyboards and clean vocals. They don’t miss a beat, as Vinje handles both duties very well. For some bands, opening with the longest track might seem risky, but it makes sense for Enslaved, with the eleven minute “Storm Son” setting the pace for all the diverse elements yet to come. From the relatively straightforward and catchy “The River’s Mouth” to the more subdued “Feathers Of Eolh” to the epic closer “Hiindsight,” Enslaved weave complex and progressive elements into a cohesive and extremely appealing whole. 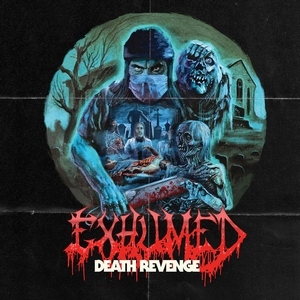 Exhumed return with Death Revenge, their first album in four years. The band finds themselves in the cross between Carcass’ Necroticism and Heartworkas the mix of vile and virtuosity goes hand in hand. Matt Harvey and crew make this effort a fine one with bassist Ross Sewage making his presence felt here as he did with Ghoul’s latest effort; a veritable Bill Steer to Harvey’s Jeff Walker. 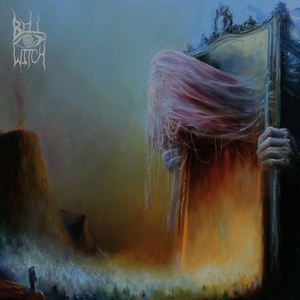 This brand of self-proclaimed gore metal is all the more wrapped up in a delightful package which includes album artwork that would make Lucio Fulci blush. The album also follows a loose concept of a series of murders in Scotland during the 1820’s. Why not traverse history to find more inspiration? What more do you need to know? Exhumed have delivered during a year chock full of amazing death metal, showing their decomposing grip on the genre is as strong as ever. 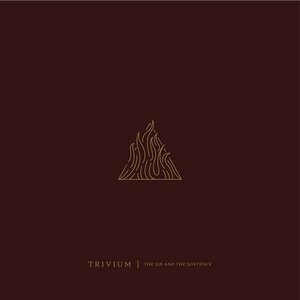 From album opener and title track “The Sin And The Sentence,” Trivium set an ambitious agenda. Highly technical musicianship is combined with radio friendly clean vocal hooks, besieged by blast beats and old time Slayer style grooves, all held together with their inventive, two pronged trademark neo-classical shred guitars. It’s a triumph. It’s definitive Trivium. They won’t be losing any old school fans over this collection of eleven well crafted songs and they will almost certainly gain some new ones from it. It’s an extremely mature and confident album from a brave and focused band who are very comfortable with making their metal their way. 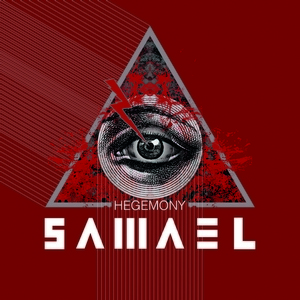 More than six years after Lex Mundi, Swiss legends Samael finally return with a new album. 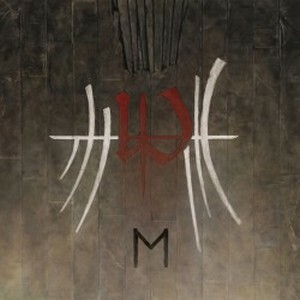 Hegemony is their eleventh studio album, and first with new bassist Drop. Their style of industrial black metal is not cold and sterile. Samael incorporate a lot of symphonic elements and atmospherics that give the songs depth and character. There’s plenty of intensity as well, with heavy guitars and harsh vocals from Vorph. One of the more interesting tracks on the album is their cover of the Beatles song “Helter Skelter.” The industrial and cinematic elements along with the unclean vocals give it a whole different vibe from the original. Fans had to be patient while this album gestated, but it was worth the wait.